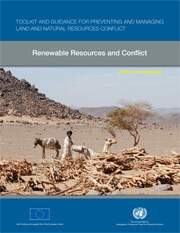 Resource depletion, environmental degradation and climate change pose fundamental threats to human security. Separately or in combination with other factors, they can destabilize livelihoods, negatively affecting ecosystems, and undermine peace and development. Where local and national institutions lack the capacity to resolve disputes that may arise over the degradation or depletion of resources, violent conflict can emerge. As population and economic growth increase, so does the demand for scarce resources and the potential for conflict. It is therefore crucial that development practitioners understand how to prevent conflicts over natural resources, and how to contain and defuse such conflicts when they occur.